includes 1 12-dent reed and one ski shuttle. $2500 OBO. If interested, please email fswguild@gmail.com for contact information. 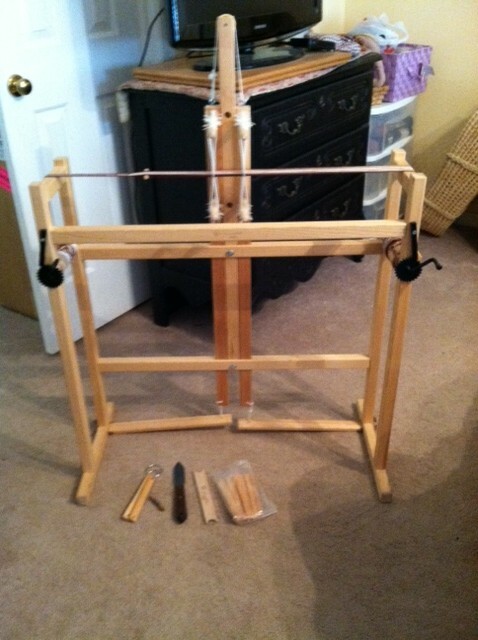 For Sale: Triangle Frame Loom (Carol Leigh’s Hillcreek Fiber Studio) and stand in Walnut. Includes shed sticks, locker hook, stick shuttles, combs and instructional video. Over $600 value. $250 call or email Lynette for additional information. We have been contacted by the daughter of a retired weaver in Alexandria that would be interested in donating some yarn to members of the guild. Here is a link to some photos of the yarns she has available. If you are interested, please let me know and I can forward you her contact information. Aileen Campbell has some weaving items for same that you all may be interested in. Please contact Aileen if you are interested in the equipment. 14.25 inches long – asking $23 each (new 15 inch shuttles are $46). 2 are marked Leclerc (the two that are lighter in color). The darker shuttle does not have a maker’s mark but is very similar to the Leclerc shuttles in the picture. 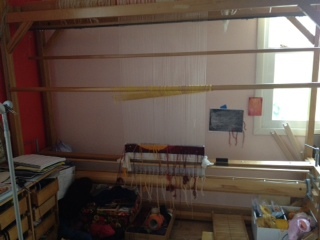 24 inch loom, complete with warping pegs, table clamp, lease sticks, warping helper, shuttles, 10 dent heddle – everything that comes with the original loom plus the stand. Asking $300 total. 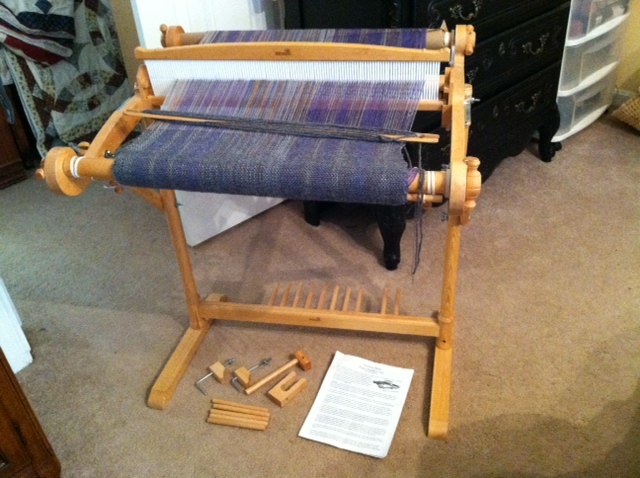 New, the loom is $245 and the stand is $125. Both are in excellent condition. Includes the A-Frame stand. 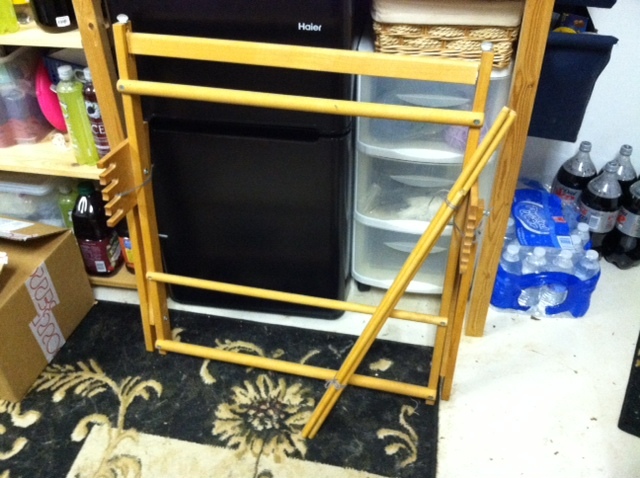 New, the loom runs $123 and the stand is $53. Asking $100 for both. There are a few guild members that are going to place a Henry’s Attic order. If you would like to be part of the group order, complete the order form that is in the box with the samples, write a check to Lynette Reed for at least half the price, and put it all in Linda George’s loom bench. She will give the orders to Lynette on April 10th. grey, beige, brown, orange, yellow, red, pink, green all on cones. Entire box $50. More information about the loom from the manufacturer is available here.